If you’ve seen my previous post, I’m sure you are aware there are a lot of amazing summer sales in the works, and these were too good not to share. 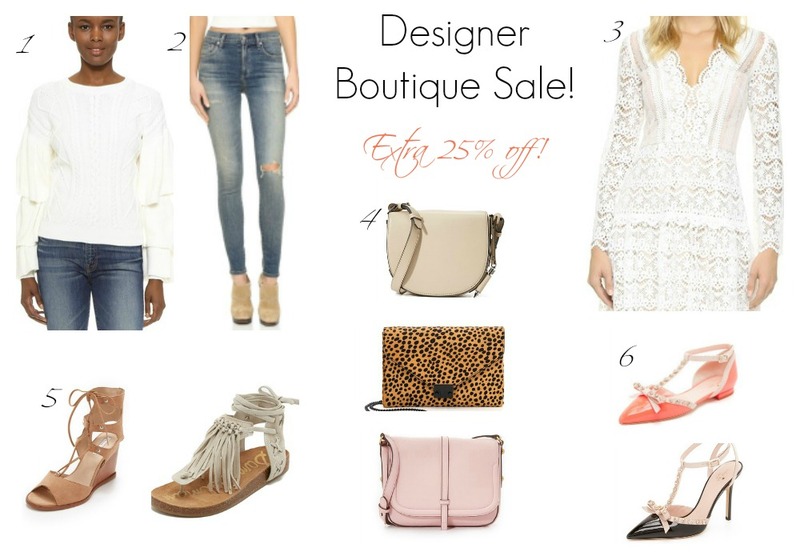 Shopbop is having their designer boutique sale, which means you can get an extra 25% off your favorite designer clothing, shoes, bags, and accessories that rarely go on sale. You can read the guidelines here before you get started. Also, Amazon is having a special sale for Prime Members and you can save HUGE on electronics, clothing, makeup, baby items, etc. Make sure to check that out as well. I was actually pleasantly surprised how good the sale is this year.